BNW Builders has been Richmond & Central Virginia's preferred siding installation contractors. We provide a unique experience utilizing a variety of high-quality products to suit your home's every need. Whether you are deciding to upgrade from fiber cement siding, wood siding, or vinyl siding, allow us to show you the most advanced exterior cladding technology: Everlast Siding. We will walk you through every step of the process to ensure your complete satisfaction. Contact us today to schedule an estimate! Click for features and options. Everlast is a unique siding, unlike anything you have ever seen before. Its quarter inch thick planks are constructed to be sturdy while aligning perfectly with the walls in your home. Its strength and durability makes it preferable to cement. With Everlast’s ColorHold® UV stable acrylic polymer technology and Lifetime 3 hunter unit Fade Protection Warranty, you can be sure that the color of your choice will stay vivid for years. The Everlast Trim Collection is manufactured from the same material as cladding, to ensure they blend well together in your home. Many people call us and ask if we offer fiber cement siding because we don't have it listed on our website. The answer is no, we do not install any form of fiber cement, or hardiplank siding. I have added this link to further answer the question why we do not offer these products. It is an article written by one of our Everlast composite siding partners in New England who used to install a ton of fiber cement siding until they started having a lot of product failures. Undertstanding proper siding installation and drainage. Water Infiltration: While siding is an open structure that lets wind-blown rain come through easily, it just as easily drains and dries. So problems can be managed by proper installation of a good, water-resistant building wrap, in addition to proper flashing of openings. Water Management Solution: Use of a drainage wrap or drainage mat enhances the water-shedding properties. A good 60-minute equivalent wrap, such as Classic Wrap, also works well in this application. Better still is MAX, which performs as both a water and air barrier. DC14 Drainage Mat, which is ¼" thick with drainage channels on both sides, moves water quickly away from siding. It can serve as a weather-resistive barrier if installed according to WRB guidelines. For even better protection against water, install any GreenGuard building wrap on the wall and cover with DC14. When it comes to new or replacement siding for your Central Virginia home, there are many options as well. 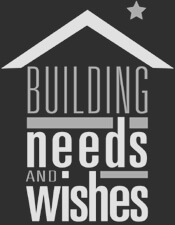 Fortunately, BNW Builders is here to help you make the right decision that matches your individual style and the unique look you want for your home. Whether you are in the market for vinyl replacement siding in Fredericksburg, fiberglass siding in Richmond VA or want one of our other industry leading options anywhere in Central Virginia including Charlottesville, Petersburg, and Fredericksburg, we can help.